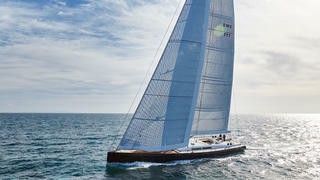 New Zealand yard Yachting Developments has delivered the 33 metre sailing superyacht Cygnus Montanus, which will now head to Tahiti on her maiden voyage. The carbon fibre sloop was built for experienced owners who are making a step up in size. Ian Cook, managing director of Yachting Developments, said: "This fast, light, carbon-fibre, family-oriented boat is exactly the kind of project that our team likes to build. The beautiful end result is a real testament to the vision of her owners." 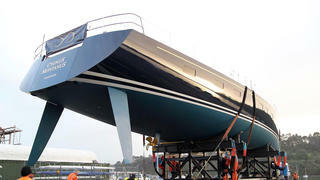 At 33.83 metres, Cygnus Montanus is the fourth largest model built to date by Yachting Developments. 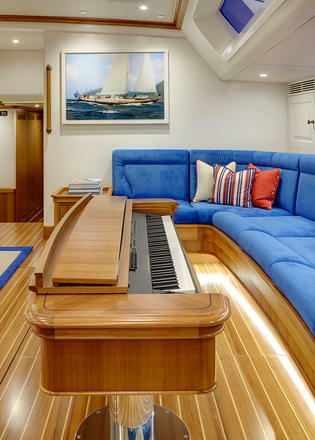 Exteriors are by German Frers, while the fresh modern interior design is by Adam Lay Studio, who worked in partnership with the in-house interiors team at Yachting Developments. 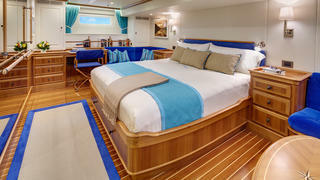 The layout includes a main deck saloon that stretches across the full eight metre beam. This area features large skylights, a spacious dining area and a concealed piano inside the dining table. 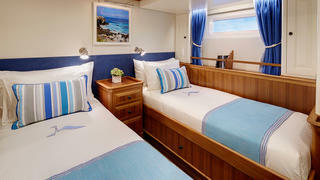 Accommodation is comprised of four guest cabins and two crew cabins, including a full-beam owner’s suite. The interior décor has been themed around previous trips that the owner has taken. 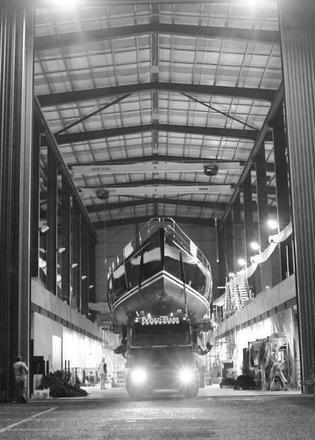 The new model was launched in Auckland on May 14 after travelling down from Yachting Developments’ Hobsonville facility and sea trials began at the beginning of June. As the video below shows, she has been fitted with a Code 0 spinnaker. Cygnus Montanus has been designed to be sailed by the owners and a small crew, with a lifting keel making shallow waters and remote anchorages easily accessible. Auxiliary power comes from a single Cummins QSL9-405 engine, while the 8.06 metre beam allows for a total internal volume of 131 gross tonnes. 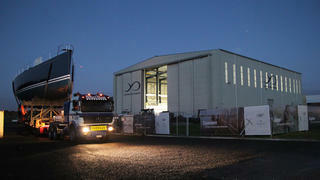 "It is a pleasure to welcome Cygnus Montanus to the Yachting Developments fleet," Cook added. "We wish her many happy years of sailing." Cygnus Montanus is hull number 1012 for Yachting Developments, whose largest launch so far is the 37 metre sailing yacht Bliss, which is currently for sale.